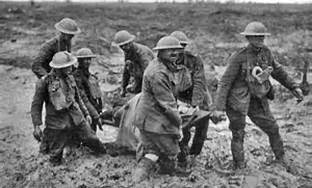 August 2014 will mark the 100th anniversary of the beginning of World War I. The war to end all wars did not end war, it was the starting point for the turmoil that led to World War II. The year 1914 began with a sense of self-assuredness and hope in a Europe where colonialism was an accepted fact of life. Peace had reigned for 40 years, communications were improving and trade was on the increase. Advances in medicine and sanitation were having an effect, living standards were on the rise. Economic ties were thought to deter conflict, Germany and the United Kingdom were each other’s largest trading partners. Some observers saw a problem, they believed the European powers were spending too much on armaments. The European nations were also facing surges of socialism, nationalism and labor unrest intermingled with hefty doses of communism and anarchism. Although there had been limited conflicts in the Balkans, the people of Europe believed their leaders would be able to keep things under control. Germany and England were in race to build more warships. Russia, bruised from setbacks in the Balkans and the loss of the 1904-05 war with Japan, was stoking nationalism. France remained bitter and vengeful for the drubbing it had received from the Germans in 1871. Germany, unified by Bismarck, was no longer bound by his restraint. It sought empire and world respect. Many historians believe that none of the key leaders in power in 1914 had the foresight or courage to counteract the building pressures for war. They think the war was the result of the poor individual choices made by the men who ruled Europe. They were ineffectual leaders caught in a situation they were incapable of handling. In 2014, Americans will continue recovering from the financial catastrophe of 2008. Unemployment remains high, the national debt has climbed to $17 trillion and the nation’s infrastructure is in need of repair. The worst recession in 80 years resulted in banks shedding $885 billion in bad loans. 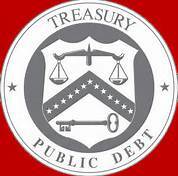 Government debt climbed from 66% of GDP to over 100%. Over 5.4 million people lost their jobs as the unemployment rate jumped to 10%. The nation’s per person GDP fell by 5%, or over $2,000 a head. Economic theory was shaken, the markets turned out not to be self-correcting. People were not the rational thinkers and economic decision makers economists thought they were. The economic indicators are moving upward. Unemployment is declining, the number of foreclosed homes is dropping. Housing construction is picking up, although still 40% below its normal pace. The political deadlock in Congress has hindered the recovery because of the uncertainty it creates. With no new congressional hindrance scheduled for 2014, the drag on growth should be less. The continual disruptive brinkmanship of the Tea Party is estimated to be subtracting nearly a percentage point from the nation’s economic growth rate. The U.S. economy is being buffeted by the combined effects of recession, globalization and changing technology. As a result of poor decision making, America faces a problem of steadily growing income inequality. If the nation wants to avoid developing a permanently unemployed underclass, Congress might want to consider promoting investment in research, worker education and retraining. The aftermath of the Great Recession is eroding the underpinnings of democracy. Around the world, voter disillusionment with politicians and elections is running high. Only about 40% of the citizens in the developed countries affected by the recession continue to have confidence in their national governments. In the big emerging nations things look somewhat better. Around 54% of people continue to express confidence in their governments. In the world’s largest upcoming election, 800 million voters will go the polls in India sometime by next May. Although India is the world’s 9th largest economy, its once rapid economic growth has fallen to less than 5%. As a democracy with a population of 1.2 billion, India has had great difficulty trying to match Communist China’s rapid development pace. The law of supply and demand still applies to some unfettered economic endeavors. The global Illegal drug trade is estimated to be serving at least 250 million customers while producing revenues estimated at $300 billion per year. 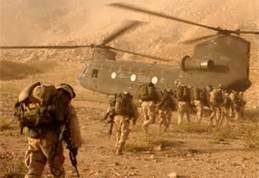 The American and NATO coalition forces that swept into Afghanistan in 2001 will withdraw in 2014. At the high point, there was NATO force of 140,000 in the country, 100,000 of which were American. The campaign has cost the lives of more than 3,000 Americans and non-Afghan allies. The fighting will continue as the Taliban and al-Qaeda test the mettle of the 352,000 strong Afghan army and police forces. To avoid the danger of a power vacuum, the U.S. is keeping 10,000 troops in the country to provide training, intelligence and logistical support. Analysts are unsure how long the shaky Afghan state will have to be shored up so financial support will continue for an indefinite future. No one, however, wants to run the risk of allowing the resurgent Taliban to make a comeback. In March 2003, the U.S. invaded Iraq to oust Saddam Hussein and negate the country’s store of weapons of mass destruction. Out of touch Iraqi exiles had convinced President George W. Bush’s neocon advisors that Iraq was ripe for change. If the U.S. deposed Saddam Hussein they argued, Iraq would quickly become a pillar of Middle East democracy, remain a counterweight to Iran, support Israel’s security and help enable a settlement of the Palestinian issue. After no mass destruction weapons were found, an insurgency began which compelled American troops to remain until December 2011. Iraq remains unstable as religious and regional factions challenge the obdurate central authority in Baghdad. Despite the car bombings and attacks, the country’s economy is expected to grow by 10% in 2014. In considering the achievements in Afghanistan and Iraq, it appears that American military aid and intervention tends to leave unstable regimes in charge of running poorly managed states. While history may prove otherwise, the lengthy and costly efforts in these countries have not produced very good outcomes so far. Face it the universal issue with “leadership” in the world is so-called leaders are interested in themselves and enriching their cronies more than public service. That is almost always secondary or even non existent motive for political hacks worldwide. Whether it is North Korea’s regime scrambling over crumbs, or in the Philippines, the pot of gold at the end of every disaster, or Russia, who controls oil revenues, or how many of the Karzai clan control money in Afghanistan, or the guarantees in the US for the 1%, greed fuels political self interest. As the saying goes in one unnamed country,” show me a general in a modest house, with one wife, and you will see an honest general.” Universal issue. When they asked the Kaiser what the war was about, he said, I wish I knew.